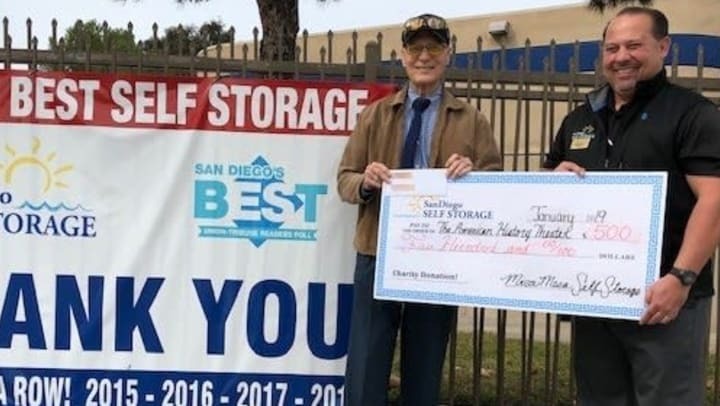 The team at Mira Mesa Self Storage has remained a big fan of The American History Theater. Mira Mesa Self Storage's Facility Manager, Chris Wood, says, “As a veteran, I find it touching and an honor to be asked again by this organization for assistance as they are still trying to get consistent support for funding.” The American History Theater provides meaningful support for female military veterans with Post Traumatic Stress Syndrome through dance and theater productions. Over the years, the role of women in the military has changed drastically. Although women veterans have come a long way in attaining a sense of equality, many issues still plague the military ranks. For the first time in history, women are allowed on the front lines of war in combat arms positions. Currently, more than ever, there is space for female empowerment within our military ranks. American History Theater hopes to tactfully broach women's issues and provide sessions, forums, and support for women veterans nationwide. The organization applies the donation towards operational costs, flyers and brochures for upcoming events, marketing materials, upgraded stage props and storage costs. Learn more about production and how you can contribute to the efforts of The American History Theater at: http://www.americanhistorytheater.org.